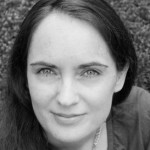 Fantastic news for Emily Bullock, winner of the 2011 Bristol Short Story Prize – her debut novel, The Longest Flight, has been sold to award winning publisher Myriad Editions by agent, Ed Wilson, of the Johnson & Alcock literary agency. Emily was discovered by Wilson’s former colleague, Fran Barrie, while Fran was reading the 4th Bristol Short Story Prize Anthology. 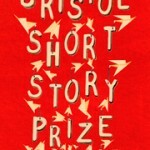 Ed Wilson, Emily’s Agent, says, “A colleague of mine originally spotted Emily’s story (in the Bristol Short Story Prize Anthology Volume 4), and when she left Johnson & Alcock, she passed an early draft of Emily’s novel to me – and I was completely captivated. We took the opportunity of asking Emily a few questions about this very exciting news and her plans for the future. May you tell us how being published in the Volume 4 BSSP Anthology secured you an agent and then a publishing deal? I was approached by an agent at Johnson & Alcock in November after the anthology came out that summer. They said they were impressed by the story (My Girl) and wondered if I was looking for representation and had anything I would like them to read. I sent in my novel and received a reply saying that the agent was leaving the agency but wanted to pass the submission to a colleague. I thought that might be the end of it but that colleague, Ed Wilson at Johnson & Alcock, met with me and signed me up. Winning the 2011 BSSP was such a great opportunity. BSSP’s promotion and publication of my short story helped me to find an agent which led to an offer of publication for my novel and, also, helped get my short story broadcast on BBC Radio 4. How did you feel when you signed the book deal with Myriad and it all became official? My first reaction, oddly, was one of relief – someone likes it, someone understands it. But once I was in contact with Candida Lacey, MD, and Holly Ainely, fiction editor, I started to get excited, and realised how fortunate I was to get an offer of publication from them. Their vision for the novel was so closely aligned to mine, and their enthusiasm for the characters and story was more than I could have hoped for. The whole process has been great; the book cover is the next stage – more excitement. I feel lucky The Longest Fight has found such a great home. How important a factor is perseverance for writers hoping to get published? I believe it is very important, but that doesn’t mean you shouldn’t adapt and grow as a writer. It is important to learn from rejection, to consider what could be changed or developed further. But it is just as important not to be put off by it – take a deep breath, look at the work again, improve it, and know when the piece is finished. The only thing to do is to keep learning, keep writing, and keep putting work out there. There has been a lot of debate about the worth of Creative Writing MAs recently. Where do you stand on this? I enjoyed my time at UEA. I feel it was of great benefit to me as a writer but it wasn’t the end of the process. MAs and other creative writing courses are a good way to learn, to give and receive feedback, to meet writing friends, and learn about yourself as a writer. No one expects concert pianists to learn without instruction, or artists to paint without learning about techniques first. The worth of MAs is in the development of craft that they can offer – a practical process of writing, close reading, and learning. In what ways has teaching Creative Writing influenced your own writing? The range of other people’s creativity and imagination is a constant source of inspiration to me. I enjoy teaching creative writing and it has made me a better reader. The ability to close read other people’s work, to identify what works and what needs further development, is the same critical eye that I apply to my own writing. How, if at all, does the process of writing short stories and novels differ for you? The short stories usually come fully formed as in My Girl and several that I have written since. I know what I want them to be about, what I want the reader to experience. I might then hold back from writing while I think about the best form, or point of view to use, whether to use flashback or not. I then write them up which always results in a huge mess but I prefer to edit with the basic story in place. I would say the way I write novels is quite different. I usually start with an image, a particular scene. I use this image to inspire a story, asking myself questions about the characters – what might get them to this point, or how might this moment define their lives? But the process of constructing my novels has resulted in me writing a few short stories too – I’ve discovered ideas, voices, that have come out of the novel but don’t belong in it. I’ve taken these and developed them into short stories instead. Which writers, would you say, have had the biggest influence on you? At the moment I seem to be reading the whole back catalogue of Alice Munro’s short stories. I love the way she breaks all those usual short story constraints – limited number of characters, limited time frames. In a few thousand words she can create a whole family lineage. But I still hold a place in my heart for those books I remember reading as a teenager; every new book seems to be a revelation at that age. I read Beloved by Toni Morrison, and The Famished Road by Ben Okri when I was about sixteen – they still haunt me. I love writing that implants a visual image in my head that I can’t dislodge, even years later. I am working on another novel, going further back in time, (The Longest Fight is mainly set in the 1950s) into 1880s London. The Longest Fight was in part inspired by my family’s boxing connections, and during this research I discovered that some of them arrived in Whitechapel in the 1880s. I have used this as a starting point for the new novel. I also like to have a couple of short stories at various stages of editing too. I am slowly building my way up to a complete collection,that is what I would like to focus on after finishing the new novel. Emily’s debut novel, The Longest Fight, will be published by Myriad Editions in the spring of next year.